The North American T-6 Texan, more commonly known in South Africa as the Harvard is almost certainly the most extensively used trainer of all time and a favourite at most air shows. Around the world, the T-6 in all its different varieties and designations served in over 60 countries, including South Africa where it was mostly used as a basic trainer in the South African Air Force until 1995 when it was replaced by the Pilatus PC-7Mkll turboprop trainers. The aircraft has a variety of designations depending on the model and the operating air force, like the AT-6 by the United States Army Air Corps (USAAC) and the United States Army Air Force (USAAF) and the SNJ by the United States Navy. After 1962, US forces designated it the T-6. The name Harvard is most commonly used outside of the United States. The Harvard was derived form the North American NA-16 prototype - an airplane first flown in April 1935. It was a cantilever low-wing monoplane with fixed tail wheel landing gear and open cockpit in tandem. Modifications like the enclosed cockpit, the introduction of machine-guns, a metal covered fuselage and stronger engines led to the development of the Harvard as we know it today. It is estimated that a total of 15 496 T-6s of all variants were built. After the Second World War, the National Air Races established a unique racing class for the Harvard and it can be seen at the Reno National Air Races each year. Harvard aircraft also made their movie debut in the 1970 American-Japanese war film Tora! Tora! Tora! dramatising the Japanese attack on Pearl Harbour. 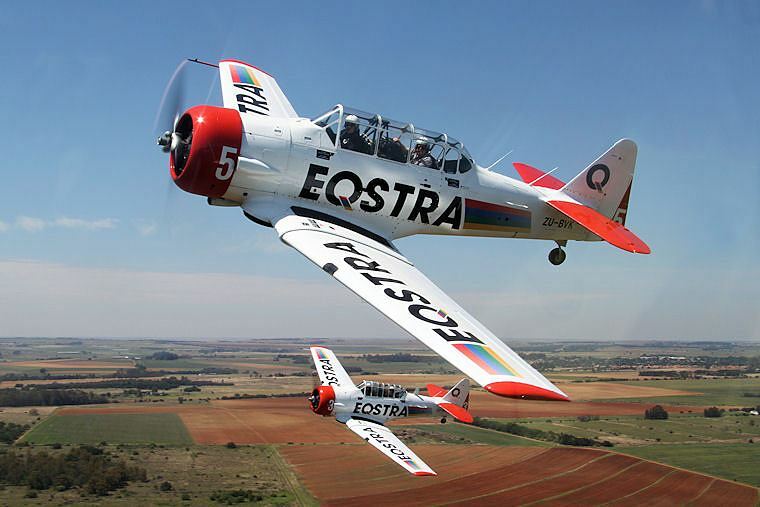 The aircraft remains a popular warbird used for air show demonstrations in South Africa. Since 1990, The Harvard Association of South Africa has been the grouping together of airmen of our country involved with the Harvard since 1940. 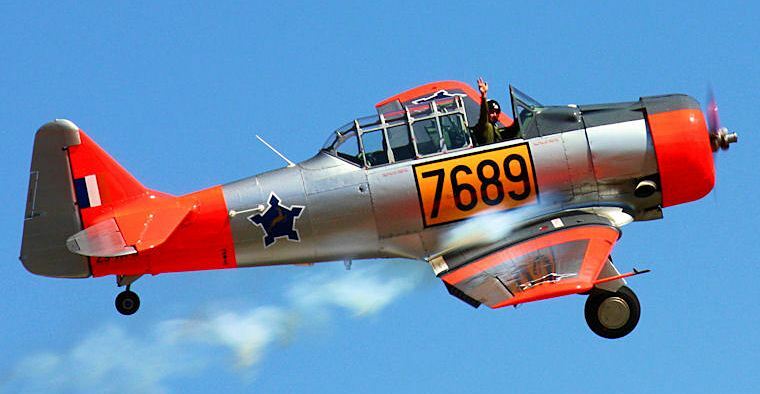 On their site, www.theharvard.co.za there is a detailed list of all individual North American Harvard aircraft in South Africa, including serial numbers, registrations, owners and a brief history where possible.